What do we do when faced with drawn gun? All these questions bring to mind threats that any reasonable person would avoid at any cost. So why would anyone pay to spend a day immersed in exploration of those threats and more? Simply put, there is no way to develop an effective and adaptive defensive mindset without spending time in some fairly dark places. This course will explore the above domains and skill sets, guiding students to the next step in developing their ability to protect themselves and those they love. For participants in this course, a systematic approach to enhancing personal safety will be undertaken in an engaging and fast-paced format over a very full day of training. Since defensive awareness is rooted in realization of risk, and since defensive preparation adds the commitment to mitigation of threats, unifying those elements in defensive decision-making will be the emphasis of this course. It is the goal of the instructor to drag awareness of risk from the back of the mind to its very forefront, ensuring that an actual life-threatening scenario will not be the first time participants have honestly faced what will be necessary. Participants in this course will be presented with some challenging truths about the world as it is and asked to make serious, personal changes in how they prepare for that world. In this fast-moving and interactive lecture participants will be led through contemporary theories and current, curated data on the process by which violent criminal actors select their targets for violent aggression. Particular attention will be paid to the internal mechanisms in play within the criminal psychology, the universe of signifiers around “good guy” behavior, demeanor, and attributes which may actually make selection for attack more likely, as well as considerations for responsible armed citizens to mitigate this risk. Previous iterations of this material have been presented to LE agencies and private citizen groups across the US as well as international LE educational events. Many instructors present material on surviving physical attack and some others address the aftermath of that defensive violence. However the preparation for being attacked, what Craig Douglas of ShivWorks has referred to as the pre-kinetic phase, is given limited, if any, attention by the vast majority of trainers and even fewer students. This presentation will review common mental and philosophical errors made by practitioners as they plan for what they hope will never happen: a determined attack by a violent criminal intent on killing you and those you love. Attendees will be exposed to a practical method for undertaking the pre-need decision-making necessary to a sound self-defense and survival mindset, providing increased awareness and a clear path to maximize their capacity for self-protection. 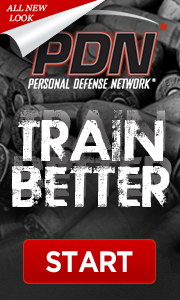 A hands-on block of instruction in the art and science of maintaining positive control of your own defensive handgun and of taking one away from an assailant when necessary. No prior experience or training in defensive tactics is required, no special physical gifts are necessary and the material is presented in a from-the-ground-up approach to allow conceptual understanding and physical grasp of an intuitive, robust skill-set in a relatively short time. Please bring an inert training version of your carry pistol, if possible (red gun, blue gun, SIRT, etc.) so that carry gear may be used if applicable.